Watch this video to see our solar pool heater design and learn some tips and tricks when building your own. We are in the second season of using this solar pool heater to heat our pool and have been very happy with the results thus far. The heater is made of 2 x 4 construction and 3/4" particle board for the box. The tubing is 500 feet of 1/2" irrigation tubing which was purchased for less than $20. Once I get the tubing back into place I plan to cover the entire box with a piece of glass, plastic, or some other transparent material that can hold some additional heat in around the tubing. The diverter that I made diverts some of the flow of pool water from the pool pump for both my solar heater and the wood burning heater. I let this run continuously through the solar heater when it is sunny. I will post a separate video on the exact temperatures once I get some figures put together but the heater helps keep the pool temperature around 80 degrees with less than 8 hours of sunlight on the solar heater or pool. I also use a wood burning pool heater if we have a few days of rain or clouds to boost the temp back up. Click here if you'd like to read more about wood burner. 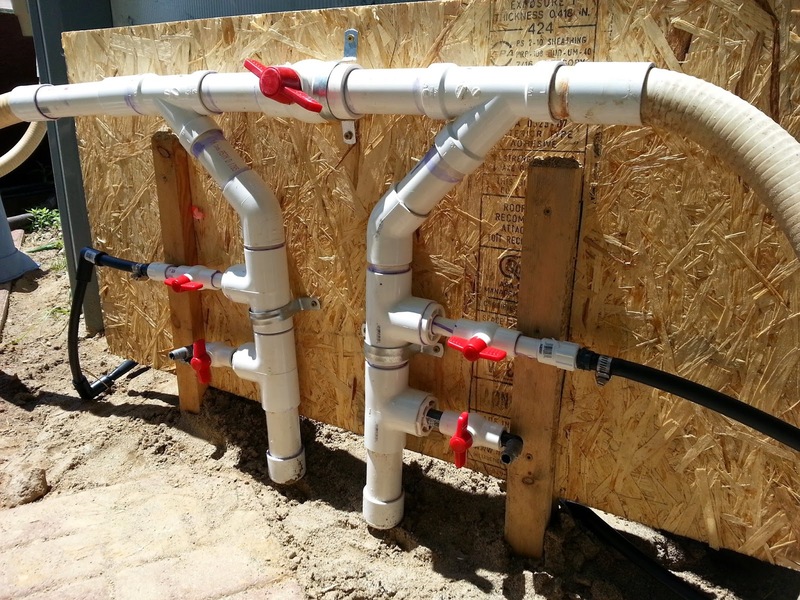 The overall cost of this project with the irrigation tubing, fittings, PVC pipe for diverter, valves, and wood for the stand was about $80. I also used some stain that I already had to seal up the untreated wood a little bit as well. 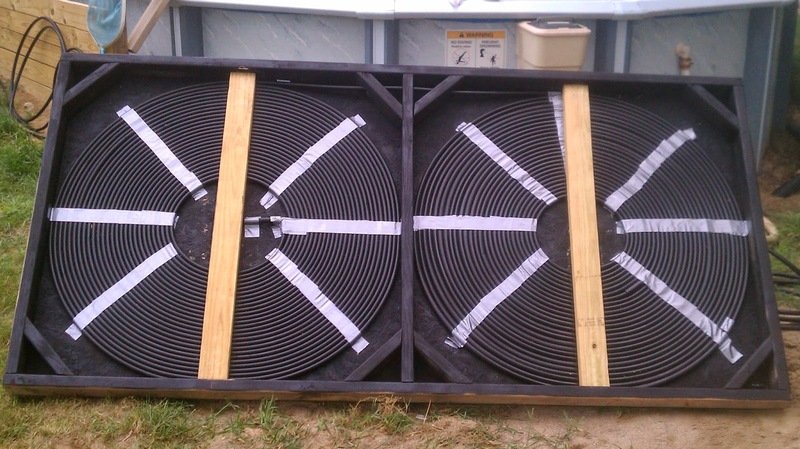 Compared to the cost of the solar heaters that you can purchase this project is a fraction of the cost with more surface area of tubing that can capture more heat energy. The use of solar energy offers huge potential for natural resource and climate protection, and for the expansion of renewable energies on the road to a future-oriented energy supply. i watched video of vogelzang barrel stove pool heater. i suggest you put a sheet metal baffle plate under the copper coil you placed on two support rods so that the copper coil does not melt after prolonged high temp useage or in case the stove is fired up without any water in the copper coil. The steel sheet metal plate will make the copper coil take longer to heat up but keep you from needing to replace the copper coil prematurely. I have about 4 hrs of sun per mid summer day here in NW Montana, if I put my heater about 50' from the pool, and my pool temp avg's about 59 to 60 F. My daytime temps can be 90 to 100, night time is 45 to 55. My pool is about 5000 gal. Do you have any thoughts on what my pool temp increase may be if I run the heater during the 4 hrs of exposure. Very excellent instruction - thanks.